My name is Kevin Figuier, 24 yo. I’m a photojournalist based in the South of the France. I use since July 2014 the digital chestvest. It’s very practical and comfortable ! I will report by bike or motorbike without any problems. There were very violent demonstrations in 2014 and 2015 but I could move around and use chestvest very easily. Digital Chestvest highly resistant to dust and movements. It’sof very good quality. I advised my friends photojournalists, I made followers! 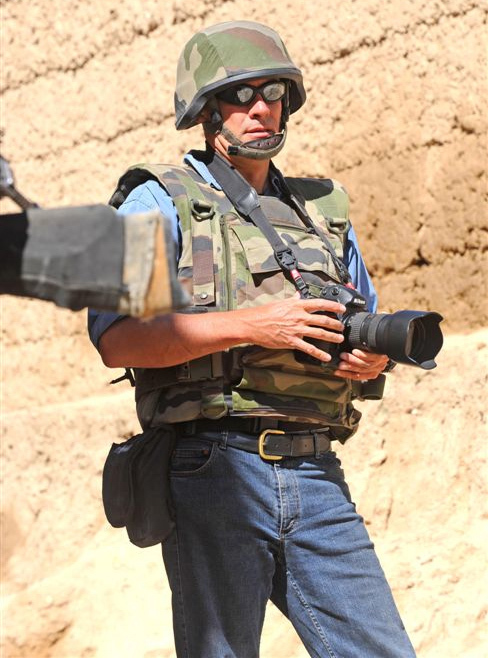 I'm a freelance photojournalist based out of New York and a combat correspondent with the New York Air Guard, and have been using your Newswear Chest vest for the last few years. I can say in all honesty that it was one of the best investments I've ever made- god knows I spend plenty of time spouting its virtues to my friends. I recently was featured on The Photo Brigade, and thought you might be interested in seeing what I had to say about your product. My name is Edijs Palens I'm from Latvia. I work for The National News Agency LETA as a press photographer. I've been using the Newswear chestvest and pouch system for many years now and I havent found any better system than Newswear. With Newswear you dont need to cary bag and it allows you to change lenses really fast. Working as a press photographer and wedding photogrpaher im using Newswear chest west daily and i can't imagine working without it. Most usefull it is during sport events, riots and e.t.c. My name is Adam Wysocki. I work for EastNews Agency as a press photographer. Chestvest is for me best choice `cause I can driving a car and always have my equipment with me. 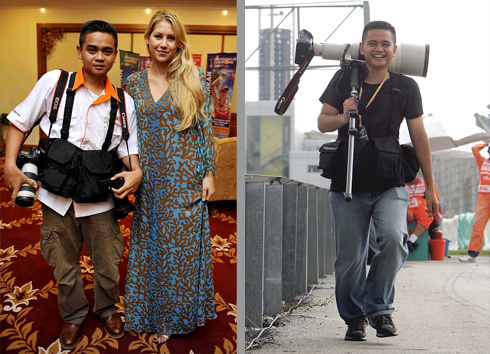 It`s very useful in wedding photography too. 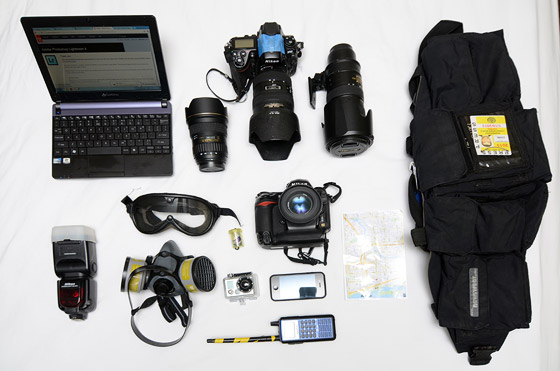 You don`t need any big bags for your lenses and you still can use your backpack with computer or other photo equipment. 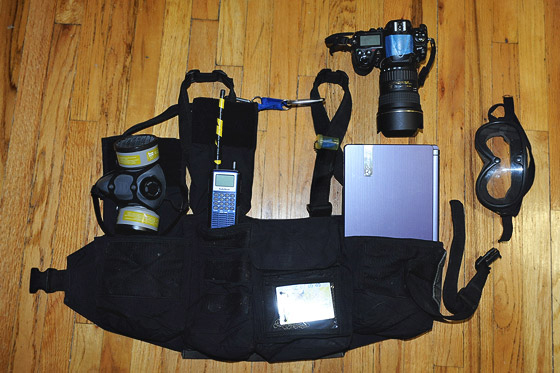 If I need more gear I use Belt and Pouches with Chestvest for extra card, battery or other accessories. Pic is taken by my friend Joanna Bigałka and she knows that I use this pic for Newswear testimonials. Erich Schlegel here, Austin-based freelance photographer. I've been using the Newswear chestvest and pouch system for quite a few years now. I've used Newswear products covering Olympic Games, embeded in Afghanistan, Super Bowls, to daily assignments here in Austin, TX. 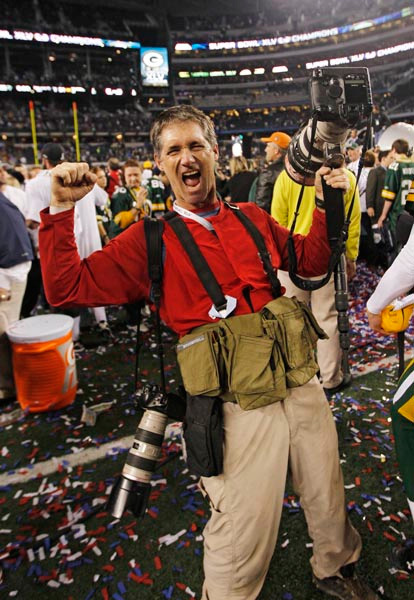 During Super Bowl XLV, I used the pouch and belt system as well as the chestvest. 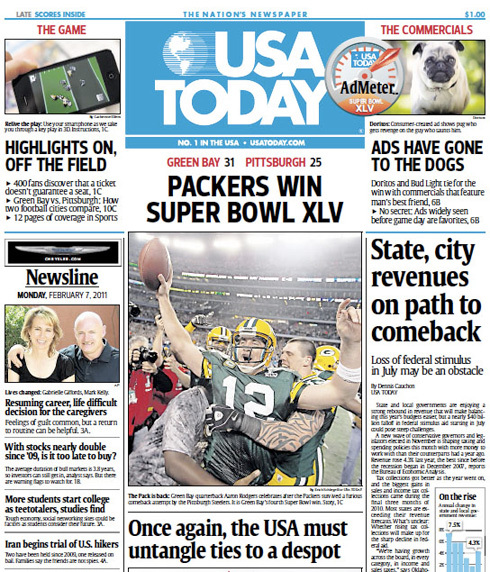 Both were perfect to work in, especially sprinting out on the field to get the shot of Aaron Rodgers celebrating the Packers' Super Bowl victory. 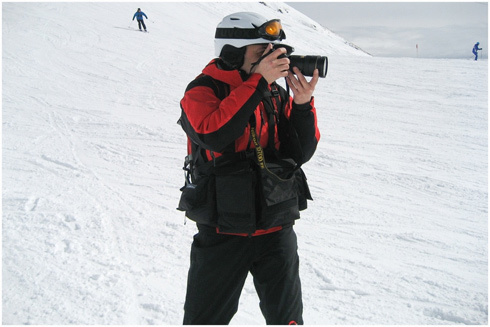 Photographers I know from the White House press corps to small town newspaper shooters use Newswear for good reason. It's the most practical system I know of. My name is David Busse, and my wife gave me a Chestvest for Christmas, knowing that it would be a great carrying system for my pursuit of railway photography. 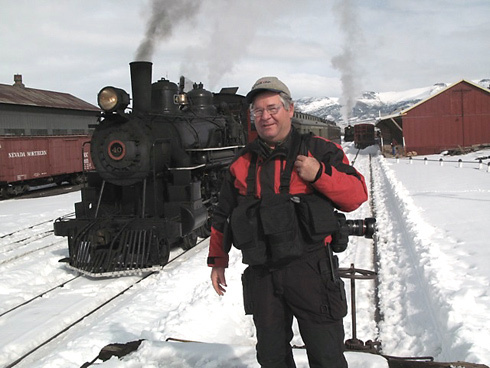 I'm giving it a real workout this weekend at Ely, Nevada, during the Nevada Northern Railway Museum's annual railway photographer's weekend. Great product! 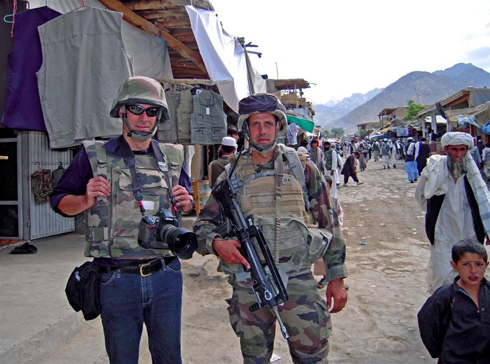 I am 52, french professionnal photographer since 22 years and specialized in defense, rescue and security subjects. I am working for MaxPPP press agency and as free Lance for specialized magazines. 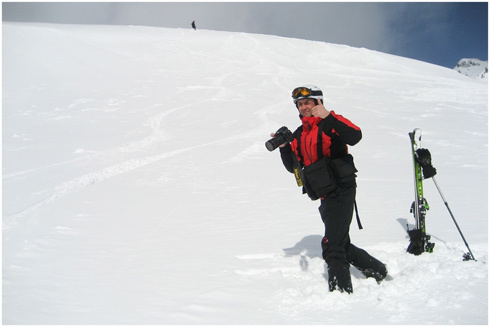 I used the belt and pouches systems since long time and discovered an absolute must for all type of action photography, where you don't want to carry any bag. 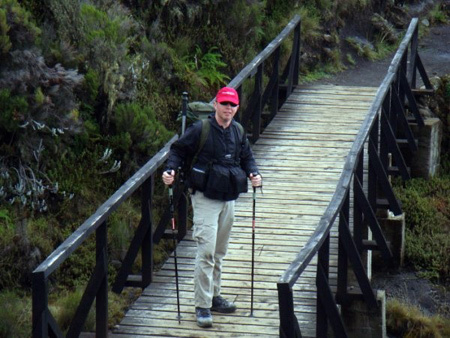 The material are rugged and very tough, the pouches are low on the belt ; a good point when you are wearing a vest. I am now using the fanny pack which is, for me, an even better concept. I am very pleased with Newswear products which are perfectly suited for professionnal duty. 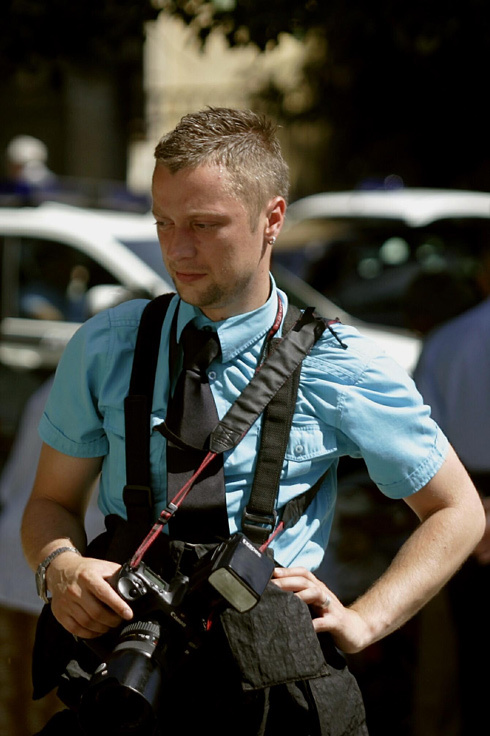 My name is Dominic Verhulst, I am a photojournalist from Belgium. This is by far the best gear I have ever used. So comfortable, especially when you need to carry your load for a whole day. Fantastic gear!!! My name is Mohd Rasfan Mohd Nor i'm from Malaysia.i'm using Newswear product Mens Foul Weather Digital Chestvest.For myself,every component is extremely well made, and each has a definite “quality build ” about it. They never compromise on materials.The products are as comfortable as they are functional–an important consideration when you’re spending the full day in the field with a heavy load. 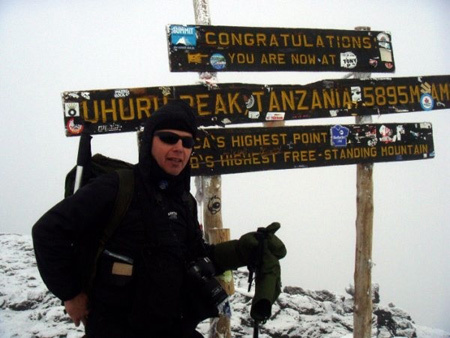 Just got back from a trip to Tanzania and used one of your 'chestvests' to cart a limited amount of gear up Kilimanjaro. Must say it is by far the most comfortable way I have ever carried my kit. Also works very well in conjunction with a rucksack. I only have the Documentry version (perfect for when actually taking pictures) and so had to use 'zip lock' bags inside the pouches for protection from rain, however due to it being the smaller version it actually fitted inside my foul weather gear. Just wanted to say great product and I will be on the look out for a foul weather version next time I'm in the US.